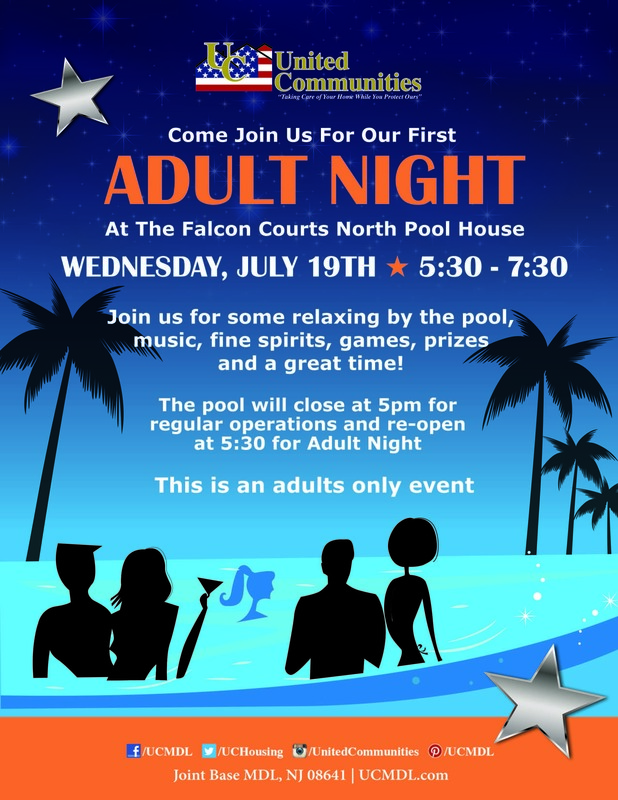 United Communities will be hosting our first adult night at the FCN pool house. Come relax by the pool, we will have music, games, prizes, good spirits and a great time! This is a residents and adults only event. We hope to see you there!